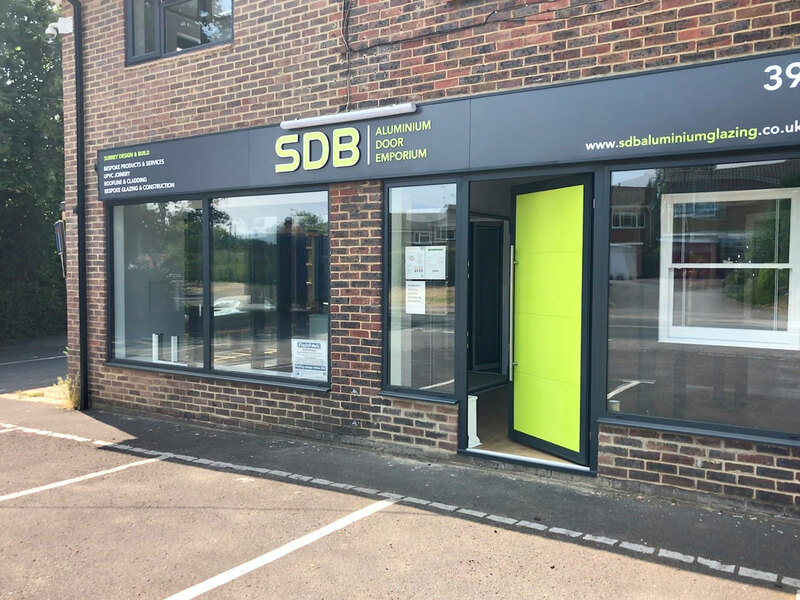 SDB has been at the forefront of aluminium bi-fold door supply and fitting in Surrey for over a decade. 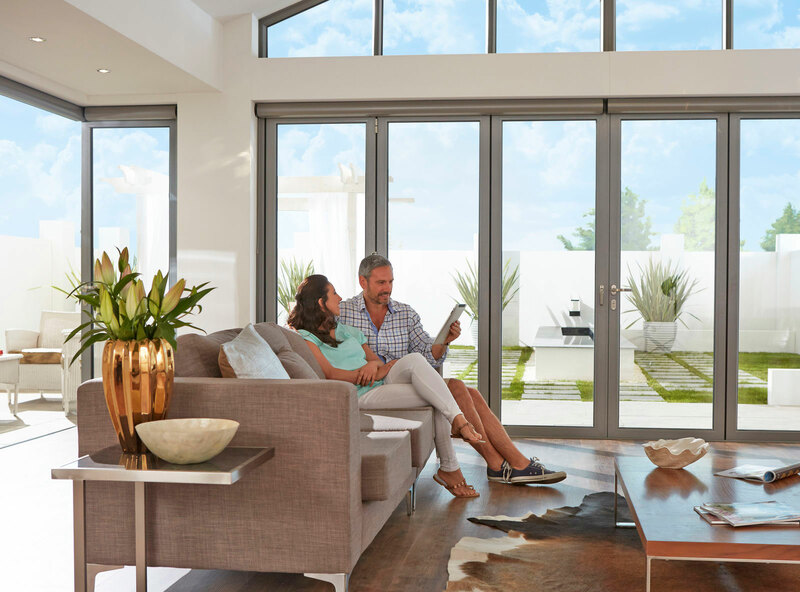 We provide three premium frames of folding doors for viewing at our showroom, each at varying price points and all can be tailor made to fit your specifications. These doors will enhance the appearance of any property, regardless of age or style. We maintain a very high standard of quality control. 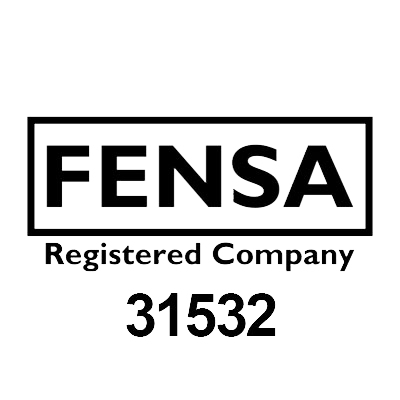 All units are individually inspected prior to installation. 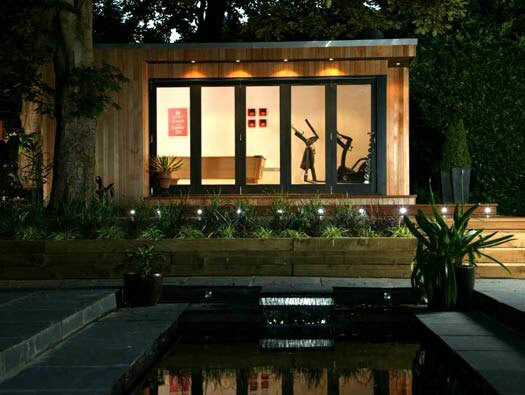 All doors are installed by our specialist in-house fitting team. We offer 3 premium Bi fold frames to choose from at various price points. All displayed for viewing in our Chobham show room. Market Leading door mechanism The best bi fold operational mechanism available on the market! 200 RAL + 4 standard frame finish colours. Dual colour available. Locking Options: Choice of either traditional lever / lever handle on main door, or slim line handle. Multi-Layered Weather Seals for extra resistence against wind and rain. 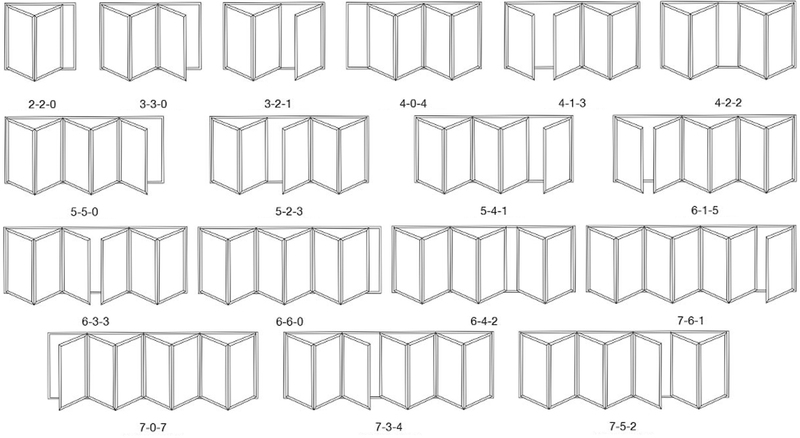 158mm Site line (frame to frame width). High end door mechanism almost silent operation. 200 RAL + 4 standard frame finish colours available. + 4 woodgrain colours. Dual colour available. Locking Options: 8 point locking system + security hinges & chamfered 20mm linear bolts. Ultra secure lock cylinder/barrel. Hardware colour options: white, black, chromw and satin silver. 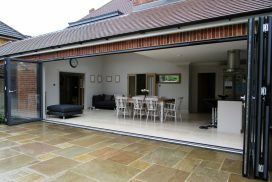 Which are the best Bi-folding doors for your building project? 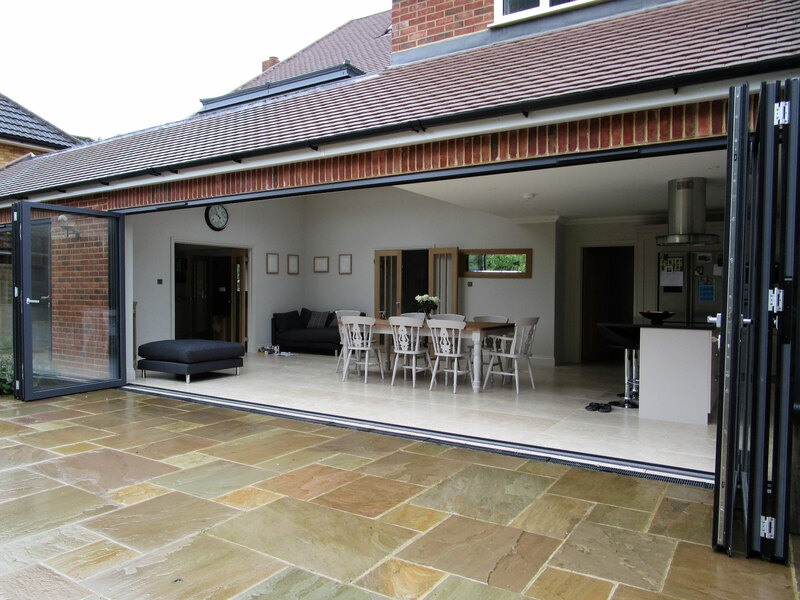 Our bi-fold doors can be manufactured folding to the left, right or to both sides. A pass door can be incorporated in the system, which can be used like a normal external door, leaving the other panels locked in place. 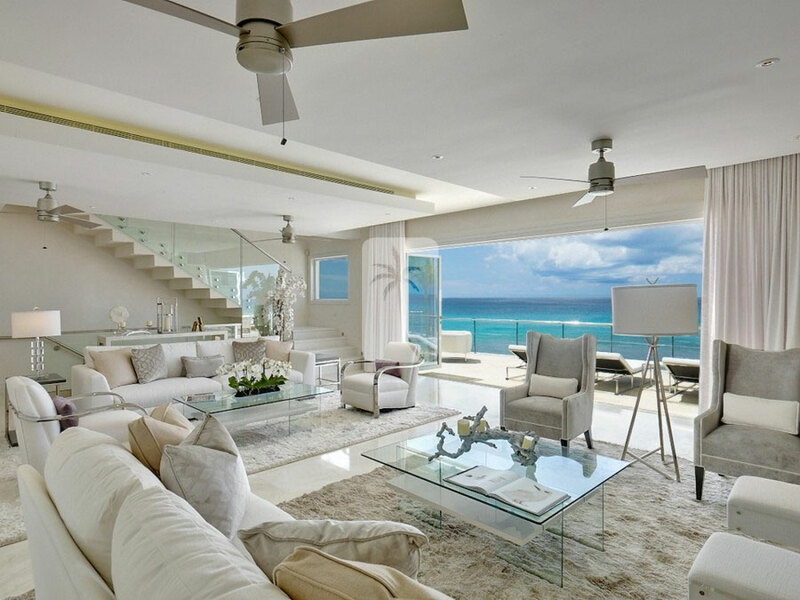 For practical reasons most people choose to open the doors to the outside, but they can be manufactured opening inside if required. 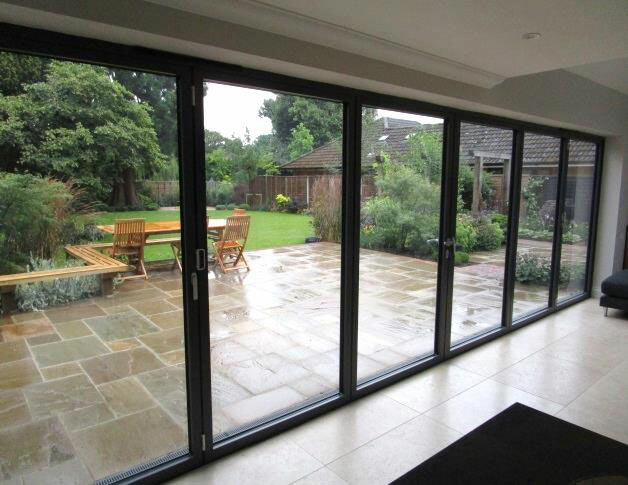 Our range of aluminium bi-folding doors will compliment any home. 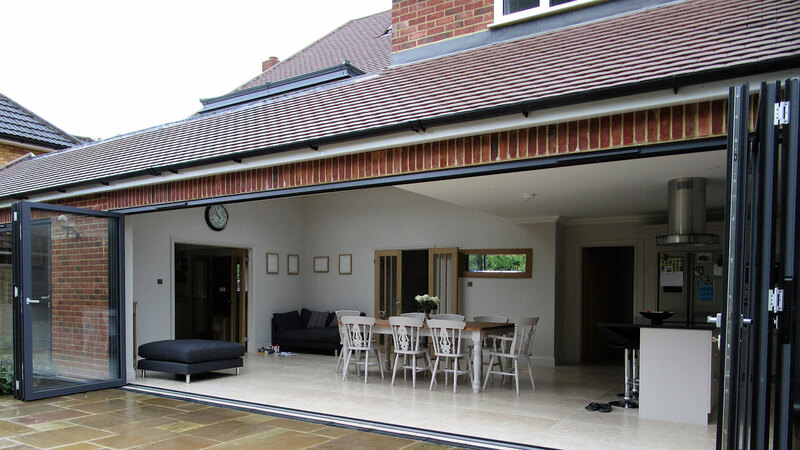 Our bi-folding doors can be designed & installed for use as 'open out' or 'open in' operation, internally of externally beaded with sidelight options. 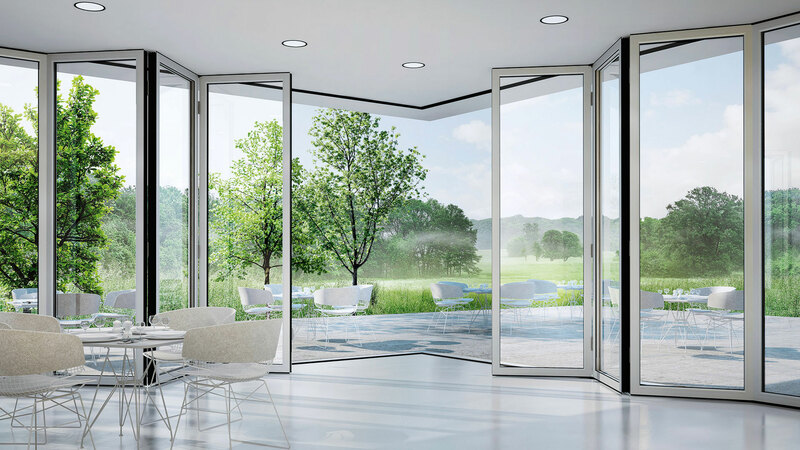 All doors come with a polyamide thermal barrier which is much higher in performance compared to PVC-U or composite frames. 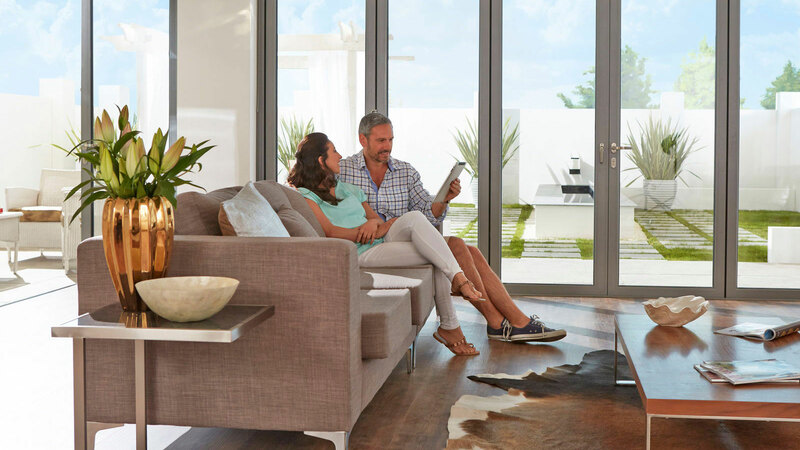 Our frames are ultra slim which means more glass, bringing the outside in. A flush threshold can be created with no step. 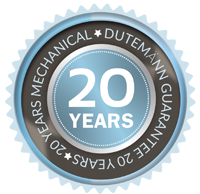 "All of our Bi-folding Door's are guaranteed for 20 years against mechanical failure." 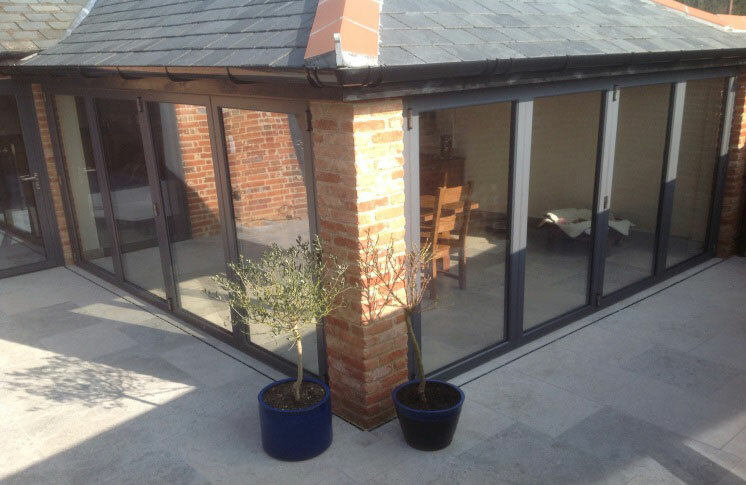 All our doors exceed current building regulation requirements. They are manufactured with thermal barriers between components, weather seals and high-performance glass sealed units which reflect heat back into the indoors. 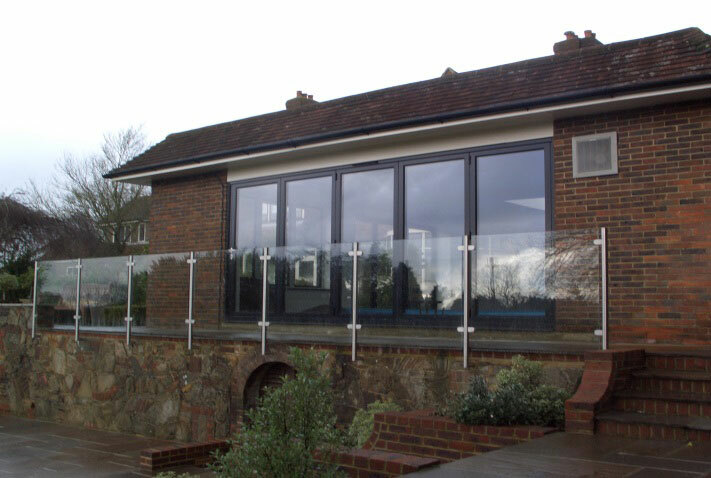 We also offer a selection of glazing options for enhanced sound and heat insulation. 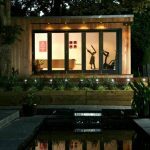 Other glazing options include Pilkington self-cleaning Active glass, solar reflective for South facing doors and even triple glazing for enhanced sound and heat insulation. Dicuss these options with your friendly surveyor. Unique Glide gearing system lifts sashes on the operation of the door handle to deliver effortless opening and closing of panels of up to 400 kilos per panel. Exceptional structural integrity gives the system hug flexability. Capable of spanning an aperture of 6.7m wide by 3.2m in height in just two panels, the system is ideal for spanning large spaces. 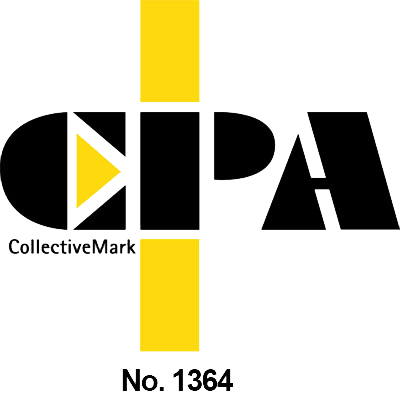 Multi-point locking and high security cylinders offered as standard. 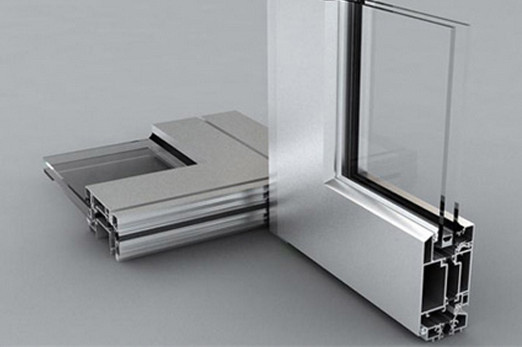 Track options deliver flexible opening and closing of sashes. Industry leading threshold drainage system along with the system resting on weather seals when closed meaning exceptional weather tightness. 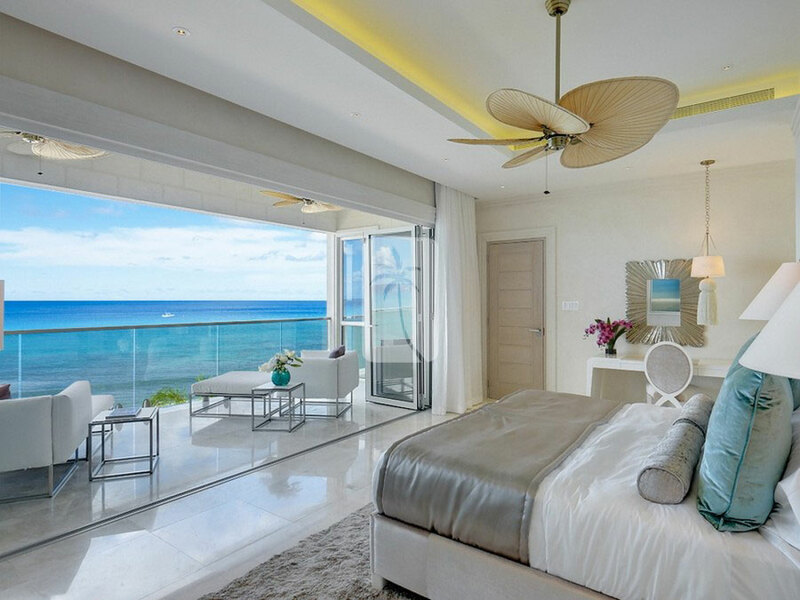 All door systems are designed for the breadth of our European climates. 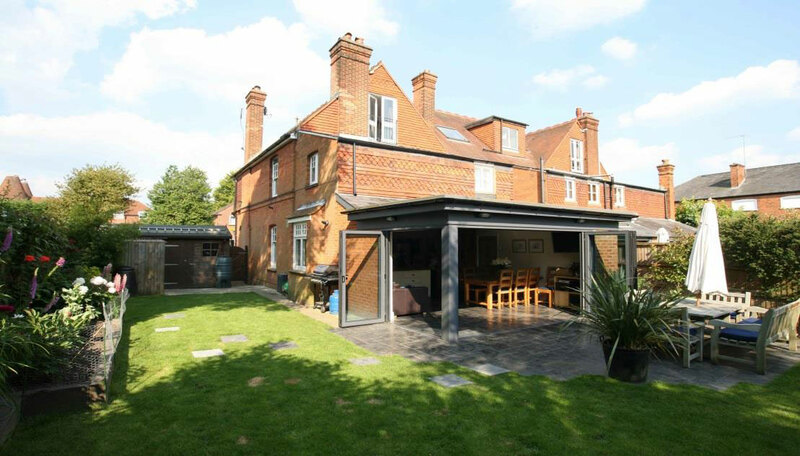 The panels and frames have multi layered rubber weather seals ensuring resistence to the worst of the British weather. Further glazing options available on request.